SideSync is a new PC-Mobile solution that enables screens, windows, and data to be shared easily. Share between a PC and a Galaxy smartphone, or between a Galaxy Tab and Galaxy smartphone. You can see exactly the same screen displayed on your smartphone or tablet on the other device. Then drag and drop files, type text messages on your keyboard, and much more. 1. 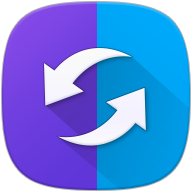 Install SideSync on your PC and your Android device. 2. Run the software on your PC and your Android device. 3. Connect your Android device to your PC with a USB cable or connect the devices to the same Wifi network. 4. If you previously used SideSync with your PC and device connected to the same Wifi network, SideSync will automatically reconnect using the same settings for added convenience. *) Please refer to SideSync Help for more details. – You can use Screen Sharing to mirror the screen of your Samsung Android device on your PC screen. You can also control your Android device from your PC. – Easily navigate to the desired screen by using Favourites on the Dashboard. – In Keyboard & Mouse Sharing Mode, you can use your Android device as your PC monitor and control the device easily using the PC’s keyboard and mouse. Try using your device and PC at the same time. – You can receive your device’s notifications on the Dashboard in real-time. – You can easily share URL’s (Note 2, S3, S4) between device using the Internet sharing feature, and open them on your PC or your device. – You can seamlessly transfer music or video playback from your device to your PC. – Mobile phones running Android KitKat or higher, and are model S3 or later (excluding some models in certain regions) are supported. Some features may be unavailable depending on the device. – Tablets running Android KitKat or higher can be connected to a mobile phone. Connecting tablets to a PC is supported from Android Lollipop onward. – Some features may not function properly on the Note 2 NE6 version. Please upgrade your device to the latest version before using SideSync. You can check your device’s software version by checking the last 3 digits of the build number in Settings > More > About device. – Drag & drop file moving is not supported for models released prior to Galaxy Note 3 (Note 2, S3, S4). – Certain features, such as the smart phone’s NFC and sensors, may not function identically on mirrored tablets or PCs.